This article was published in the Escape Artist Weekly Newsletter on December 01, 2017. If you would like to subscribe to the newsletter, please click here. When considering moving abroad, you may not feel ready for the challenges ahead. At Escape Artist, we like to make sure that we prepare you for your new life in a new country. In today’s newsletter, I’ll give you some advice on what to do before you even leave your home country. If remote work is taking you overseas, consider co-living as an option. Every year there are more and more co-living spaces being developed, like the one being built soon in China! Also, read how IKEA is working to make co-living better. This week’s round-up also shares the story of one expat using food as a means to stay close to home while abroad…and read the stories of some expats who may be having a rough time staying out of trouble. I recently read an article that gave great advice on how to find a job as an expat in the Middle East. The information provided in the article could easily be applied to those trying to find a job anywhere overseas, so I’d like to share some of this wisdom with you this week. Always make sure to do your research. Make sure you are up to date with laws and regulations concerning working as an expat in your desired destination. Find out what kind of jobs are available for foreigners, what kind of qualifications you may need, and what skills there may be a shortage of in the new country. It’s also crucial to assess the language barrier. You don’t want to show up on your first day of work and have no idea how to communicate with the locals. Be aware that CV formats may differ depending on the market and the country. You also want to make sure your CV is rich with information and is searchable with all the right keywords. Getting a work permit in a new country can sometimes be a daunting task that may take some time, so you want to ensure you have your T’s crossed and your I’s dotted before making the move. If you are planning on bringing your family, make sure that you get the proper permits for them as well. Your new home may not have the exact same job that you had where you came from, so be ready to try something new. The country may have a completely different job market with new opportunities. Don’t be afraid to change your career path, putting your skills to the test. Taking a lower-level position or lower compensation is something you may have to accept as well if you are hoping to find a new job quickly. Remember the rule of six degrees of separation: everyone is connected to one another through six people or fewer. Don’t be afraid to tell everyone you meet that you are looking for work as an expat. You may just run into the the right person who can guide you in the right direction. Send your CV to any new friends that you have in the country or any connections that may already be there before you move. One of the safest options for expats is a job that already has an overseas presence. These companies may have great use for your skillset and work experience. Contacting the consulate office can be a great starting point in your job search. There you will find people who are willing to help you make your transition into the country smooth. This is true even if you are looking for a job in your home country. Make contacts everywhere you can. Get to know professionals and let them know you are looking for work – they may be able to help. Many expats who successfully found work abroad have done so through the assistance of professional contacts. Space 10, IKEA’s external innovation lab, has created an online platform for the research and development of future shared living spaces. The website, One Shared House 2030, is a collaboration between Space 10 and Anton & Irene, a Brooklyn design studio, launched in November of this year. It explores the ideas for shared living spaces to solve current housing problems like cost, rapid urbanization, and loneliness. Through this aesthetically-pleasing website, users are invited to sign up for a co-living space for the year 2030 and are then asked to complete a survey on 21 topics concerning commuting, personality, furniture, and more. This forward-thinking website may one day make living and working abroad easier and more affordable. Co-living isn’t a new concept. All over the world, co-living spaces are making it possible for young digital nomads to live in places they never thought they’d be able to live before. This website may make that dream even more of a reality for people all over the world. Co-living isn’t just for millennial digital nomads looking to explore the world. One company wants to use co-living as a way to combat challenges and needs of people living in big cities. MINI launched its first Mini Living concept apartment installation at Salone del Mobile in Milan last year that featured folding modules for sharable, reconfigurable space for inner-city living. At this year’s event, MINI revealed a similar building, the “Breathe” house that squeezed into a 538 sq-ft urban plot. Now, the company will go from concept to reality by building an actual structure in Shanghai. Plans have begun to turn an abandoned paint factory in the Jing’an district into a modern co-living space with tiny apartments, co-working spaces, and communal areas. The project will draw design elements from the city’s rich heritage and consist of six buildings that will make up two to ten units each that all feature communal living and kitchen areas. The whole concept encourages connecting with a community through gardens, markets, restaurants, and more – all within the buildings. Co-living isn’t the future. It’s happening now and it’s only getting more popular. This innovation can be a great way to save money, help the environment, and stay connected with those around you. An amazing aspect of traveling the world is experiencing different cultures; going outside of our comfort zone to learn how others live. Finding out you may not be as different as you thought is another treat. The power of food has guided one expat to realizing that her culture may not be as foreign as she expected. Thai chef, Tham-Napharphak Prompaska, let food guide her on an adventure through India, ultimately leading her to call the country her home. She shared her journey in Expat Voice, a regular column for expats in India. The 42-year-old chef comes from Isan in northeastern Thailand and began her journey in 2005 in Mumbai. After working there for seven years, she traveled to the Maldives and later came back to be head chef at Rim Naam, a Thai restaurant at the Oberoi hotel in Bengaluru. She likes to compare Thailand and India, possessing similar rich flavors and cultures, with respect towards elders and ways they show love to their family. Through her journey, she also discovered not only do they have similar cultures, but also cuisines. Finding the similarities we have with other cultures through both love and food is the true spirit of an Escape Artist. When visiting a new country, it’s a wise idea to learn what the do’s and don’ts are. Two U.S. travelers learned this the hard way. Joseph and Travis Dasilva, 38-year-old visitors to Thailand, were standing amid Bangkok’s famous Wat Arun temple. While there, they posed for a picture in front of the structure with their full behinds exposed. What they didn’t realize was that Thailand has very strict laws about behavior that is considered disrespectful and offensive to the Buddhist religion. The pair were held on Tuesday when they tried to return home. Authorities told BBC that they would be fined and deported on charges of public nakedness. Take this as a lesson. Make sure you do your research before visiting a new culture. Also, it’s probably a safe bet to keep your pants on. To avoid making a huge mistakes like this, check out Escape Artist for more information on your next overseas destination. As you can see, doing something wrong in another country can really get you in trouble, but what happens when you didn’t do anything wrong and get in trouble anyway? One British expat is in the middle of dealing with that right now. Asa Hutchi found herself in hot water after witnessing a fight in Dubai. The 21-year-old remains in the United Arab Emirates while facing charges for an incident she was not directly a part of. The event occurred when friends of Asa were taking pictures with a man in his 50s who had fallen asleep on a bench. When the man woke up he began hitting them, but the young travelers fled. The man called the police and they were all taken to the police station. Detained in Dubai, a criminal justice specialist that is representing Hutchinson, says that her friends were able to obtain their passports and return home. The man found out that Asa lives in Dubai and has chosen to transfer the charges to her. Clearly, Asa Hutchinson is wrongfully being accused and, as Detained in Dubai puts it, “victimized.” They are assisting her in her efforts to get out of the predicament. As of right now, Asa has been bailed out of jail and is awaiting a court date to be decided. If there’s one thing you can learn from this week’s newsletter, it is to always do your research. With the proper research, you could land the job you need to live in a new country. With that same research, you can avoid making a fool of yourself and getting arrested under ridiculous circumstances. At Escape Artist, we want to make the research easy. Don’t forget to make us your one-stop-shop for living, working, retiring, and investing overseas. 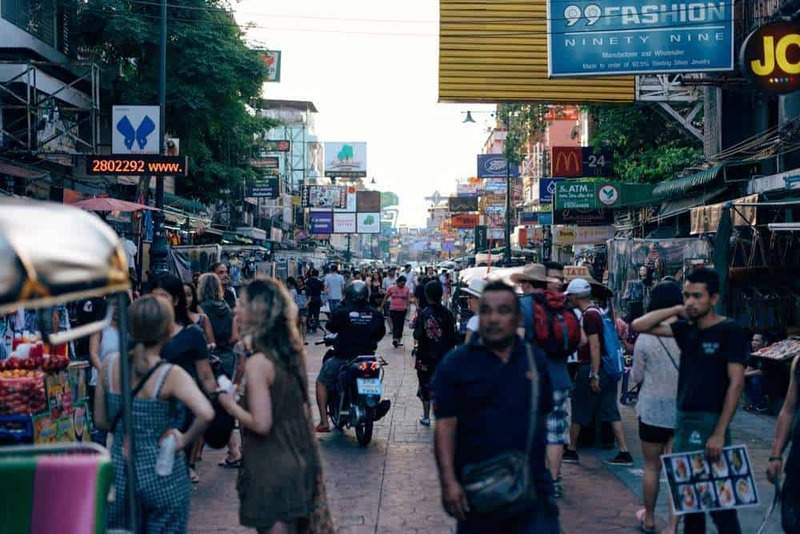 Thailand is quickly becoming one of the most popular tourist destinations in the world, and everyone knows that Bangkok is a traveler’s haven. While Bangkok is definitely top on the list of places in Thailand to visit, it’s not the only part of the country worth seeing. Here are a few more to mark off your list when traveling abroad to Thailand. Chile’s shape is unique in that it’s a long, thin stretch of land that covers very different climates – from those of the Andes Mountains to those of the palm-lined beaches along the coast. Thanks to this country’s distinctive location, there is a lot to see and do in the South American paradise. Of all the travel and experience options, here are 10 that you absolutely cannot miss when traveling abroad to Chile. Marble Caves of Chile Chico: These marble caves off the coast of Chile are only accessible by boat, but you can take a ferry from Chile Chico to and through the marble cave and its tunnels. The caves are…. Mexico is quickly adapting Bitcoin and cryptocurrency. Mexico is the most open to trading Bitcoin and has the most efficient systems for getting cash (paper money) to Bitcoin and Bitcoin to debit cards. As a result, Mexico’s economy will see many benefits from Bitcoin. In this post I’ll review Bitcoin in Mexico and how crypto will benefit the country. Trump’s decision to revamp the H-1B work visa, a program that his wife used to work in the United States during her modeling career, has caused concern in the tech industry. When combined with Trump’s tax policy, and a move to a territorial tax system, businesses will incorporate offshore and hire their workers in more immigration friendly countries.